What if we found a cure for death? 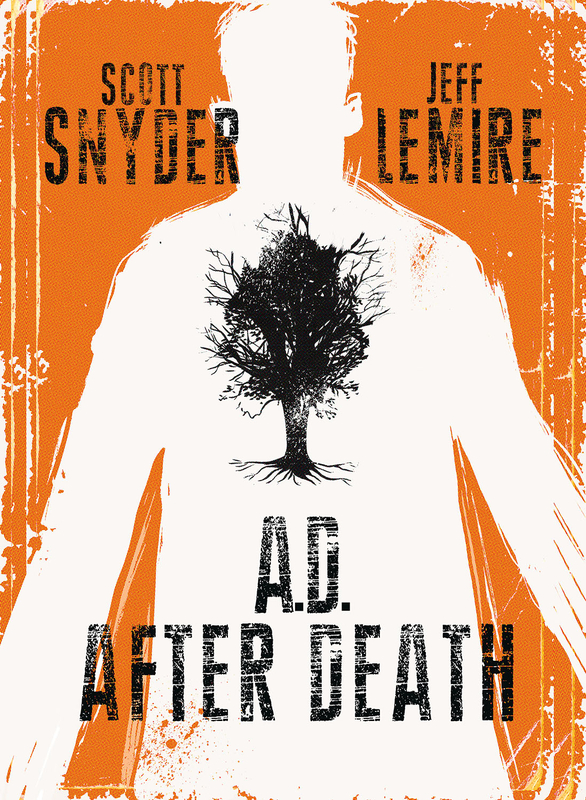 Two of comics' most acclaimed creators, SCOTT SNYDER (WYTCHES, Batman, American Vampire) and JEFF LEMIRE (DESCENDER, PLUTONA, Moon Knight, Sweet Tooth) unite to create an epic like no other, set in a future where a genetic cure for death has been found. Years after the discovery, one man starts to question everything, leading him on a mind-bending journey that will bring him face-to-face with his past and his own mortality. 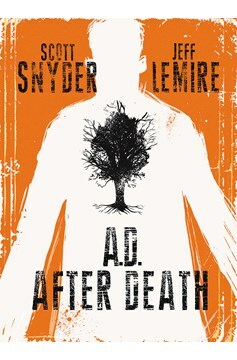 A unique combination of comics, prose, and illustration, A.D.: AFTER DEATH is an oversized hardcover graphic novel written by SNYDER and fully painted by LEMIRE. Collects AD: AFTER DEATH #1-3..